I’ve been a die-hard fan of the Ozzie and Harriet TV show since I was a teenager. The early shows are undoubtedly the better shows for a variety of reasons, which include the appearance of Don DeFore as the Nelsons’ friendly neighbor, Thorny. He has truly always been my favorite character on the show. Don DeFore is a little-known name among most people today, but he appeared in many movies and TV shows and served as the President of the National Academy of Television Arts from 1954-1955. He was instrumental in bringing the Emmy awards to be broadcast on television. He has a star on Hollywood’s walk of fame, and Judy Garland was maid of honor at his wedding. In addition to his career in Hollywood, Don DeFore holds the distinction of being the only sole proprietor to ever run a business inside Disneyland. 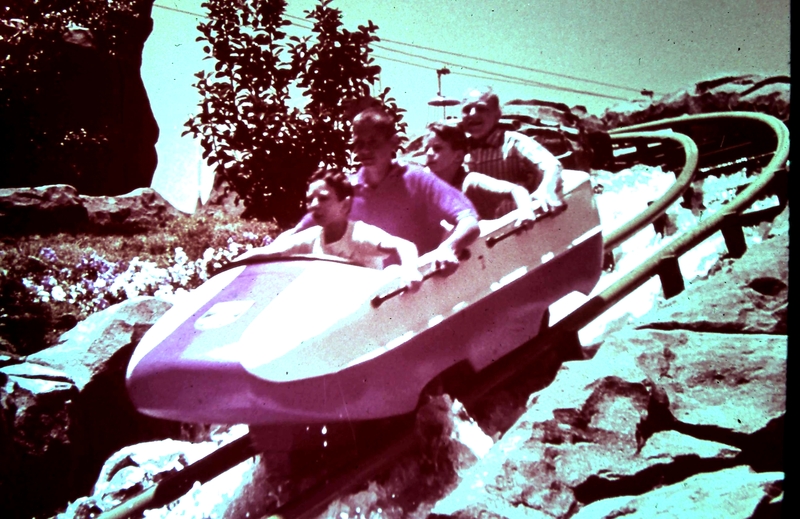 From 1957 to 1962, Don and his brother ran Don DeFore’s Silver Banjo Barbecue in Disneyland in a space formerly occupied by a mexican restaurant called Casa De Fritos. After 1962, the building became Aunt Jemima’s pancake restaurant, which eventually became what it is today – The Riverbelle Terrace. Where do I fall into this story? 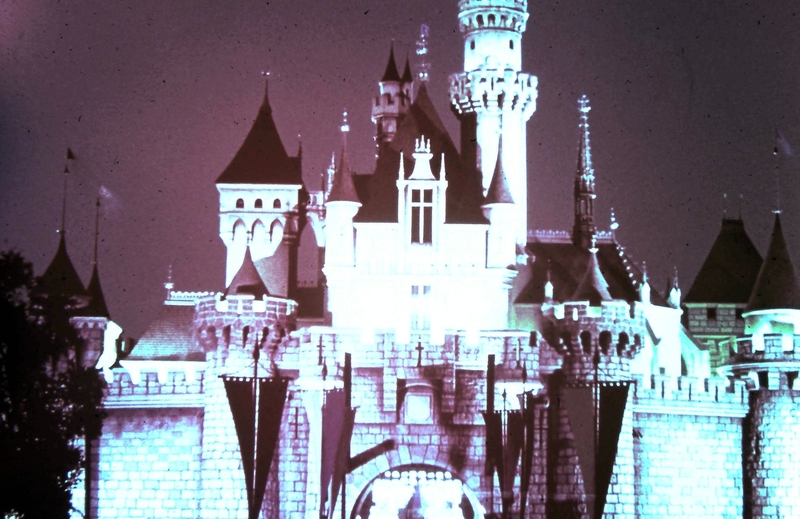 Well, in 1988, and 18-year-old kid (an unlikely fan of Mr. Don DeFore) got a job at Disneyland bussing tables. Guess where my most regular assignment was. 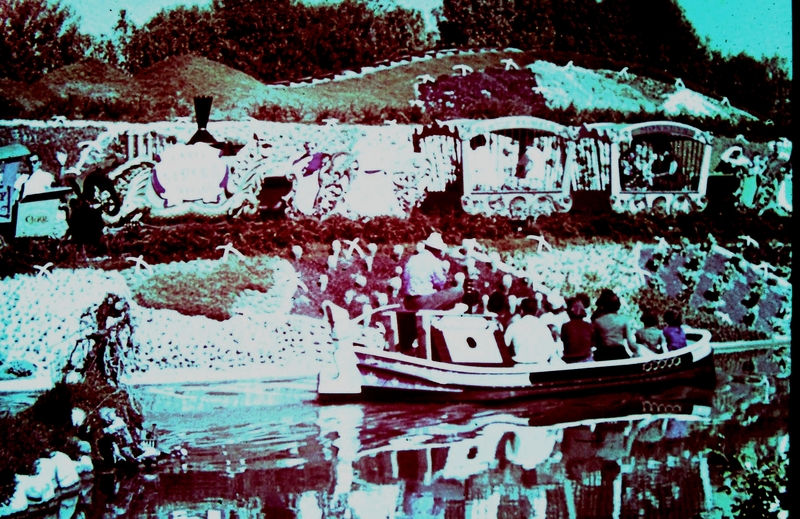 The Riverbelle Terrace. I sent an email to Ron DeFore, the son of Don DeFore to inquire about any existing reproductions of Silver Banjo memorabilia. Apparently there are none…only the original sign, menu, etc, which are in his basement. He suggested if I was a millionaire collector, I might offer him an exorbitant sum. Alas, I am not and cannot. 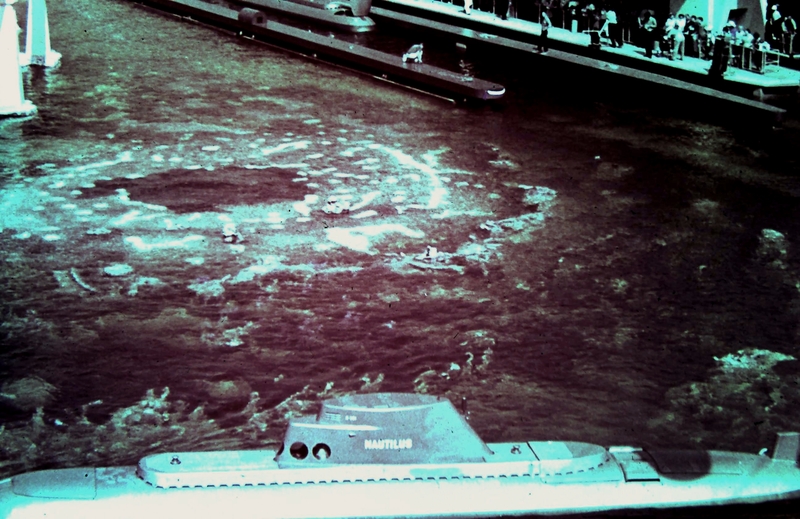 It’s cool to think that in some dimension of fate, my life is linked to the 1950’s era I love so much. The Lost Transmission-Ozzie and Harriet connection is just the latest in my own “six degrees of separation” story to mid-century American culture. I’ve always been fascinated by the old Disneyland attraction posters that hang in the tunnels under Main Street Station as you enter Disneyland. 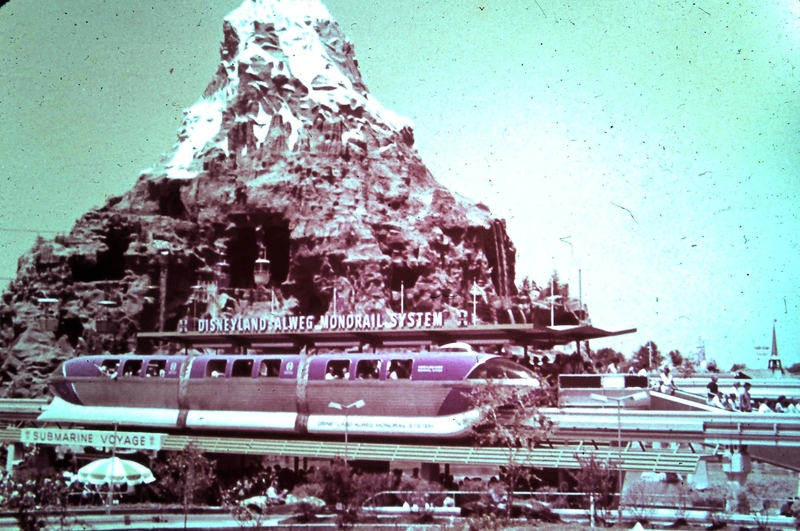 Nothing was more exciting as a kid than seeing these great pieces of art beckoning me to ride the Columbia, set sail with the Pirates of the Caribbean, brave the Jungle Cruise, bobsled the Matterhorn, etc. The images still give me butterflies in the stomach. Even reproductions of these posters are quite expensive, so I’ve set my mind on a previously-unattempted feat for me. I’m entering an “Adventureland” of sorts. I’m going to try to paint my own poster – acrylic on canvas. Perhaps I’m crazy, but it’s worth a shot. Just for a teaser and to get me in the zone, I free-handed a copy of the old Jungle Cruise (Jungle River) poster tonight using pencil and Crayon on a piece of off-white construction paper. Check it out and compare with the original below. Not bad for an accounting major, huh? 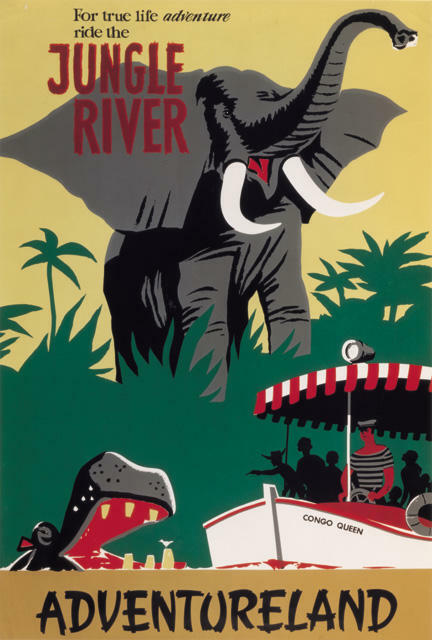 Some of the details are missing in mine (the bird on the hippo’s tooth and splashes in the water at the bow of the boat), my scale is off (my boat canopy isn’t positioned quite right), and the small wording at the top is off-kilter, but I did this pretty fast. Besides, this was just my trial run. The colors aren’t quite perfect either, but hey, I raided my kids’ crayon stash. I was somewhat limited to colors like “Burnt Sienna”, “Maize”, “Gray” and “Green”. I’ll do my best to get the lines and colors dead-on for the final product. Overall, I am very happy with how this turned out, so this will probably be the first poster I attempt. However, I’m not as confident with paint and brush. I’ll post the results when I’m done. 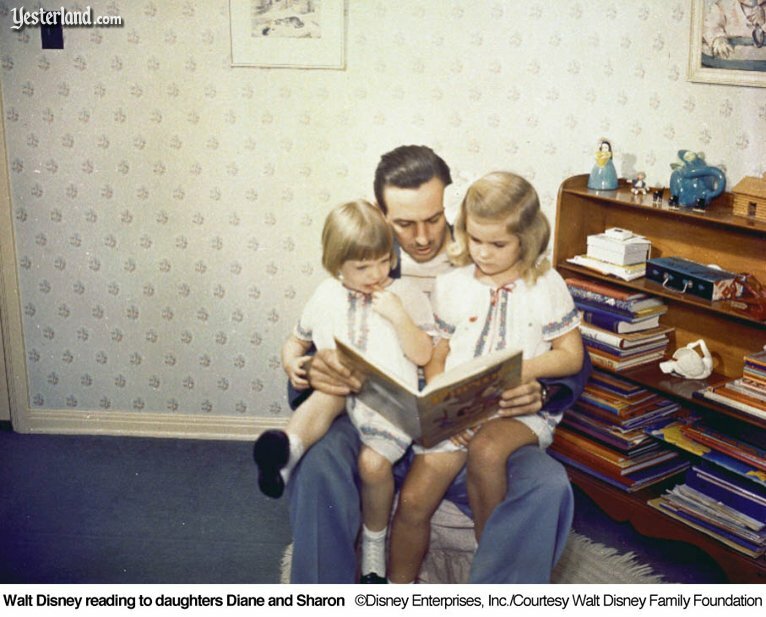 I ran across this recently, and I love this picture of Walt Disney reading to his two daughters. Interesting thing to note: I don’t see a single Disney-related trinket in his daughters’ room. Where’s the stuffed Mickey Mouse? Where are the Snow White and the Seven Dwarfs figurines?